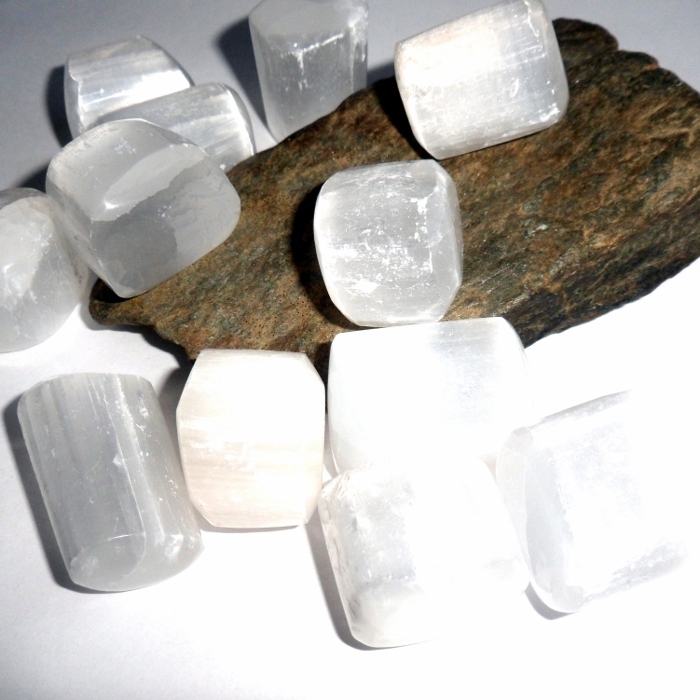 Gorgeous glowing selenite polished tumbles stones. Selenite is a crown chakra gemstone that is superb for meditation and spiritual work. Placed in the house it ensures a peaceful atmosphere. 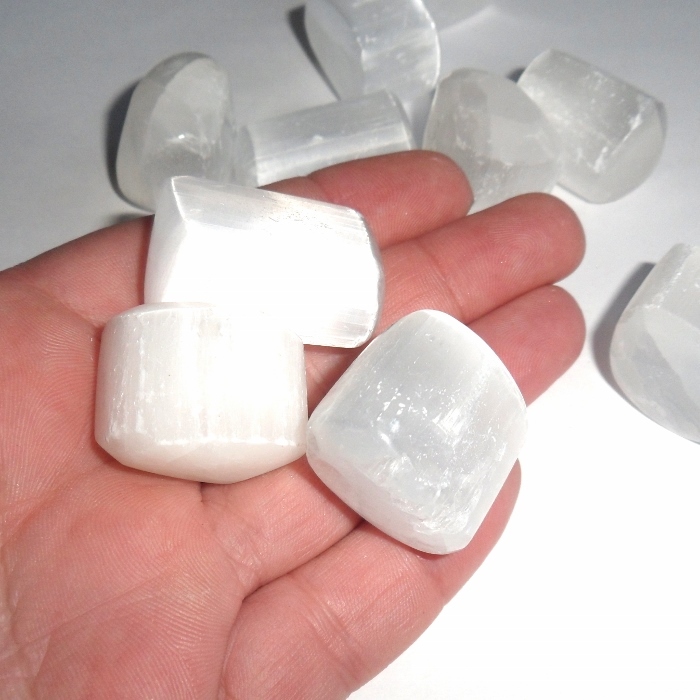 Physically, selenite is used to promote flexibility, neutralize mercury poisoning, and align the spinal column. Selentite clears negative energy and can be used to reprogram your crystals. It never needs recharging. Selenite expands your awareness, helps you enter a meditative state, and increases telepathic abilities. 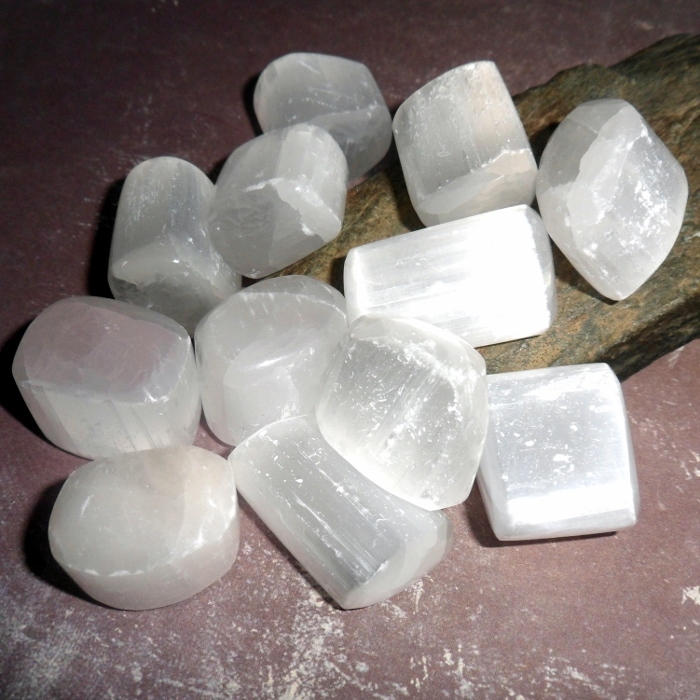 Selenite stones are approximately 1 to 1 1/4 inch each. Typical size photographed in my hand. Price is for one stone.